The view from the Rosewood hotel bar is seriously incredible. You can see for miles! When one of your best friends decides to have their wedding in a beautiful and far off destination, you say YES! 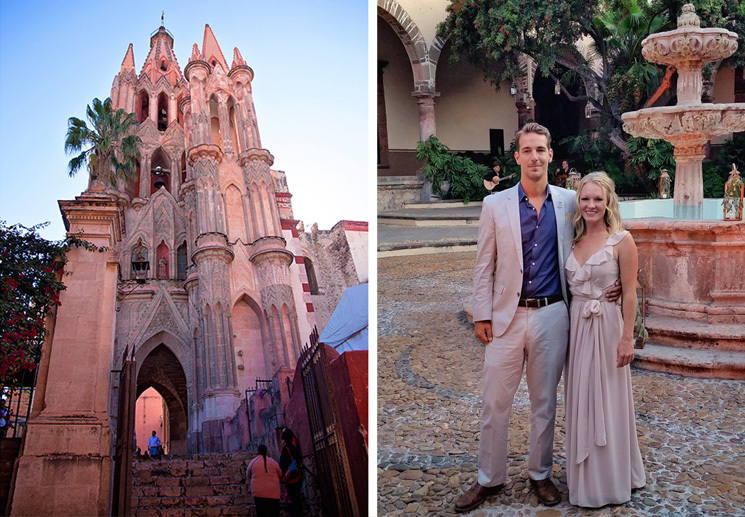 When my long time friend Holly told me she decided to get married in San Miguel de Allende, Mexico I was super excited. Not only was I going to get to be a part of her big day, I was going to get to explore a new place! Win-Win! 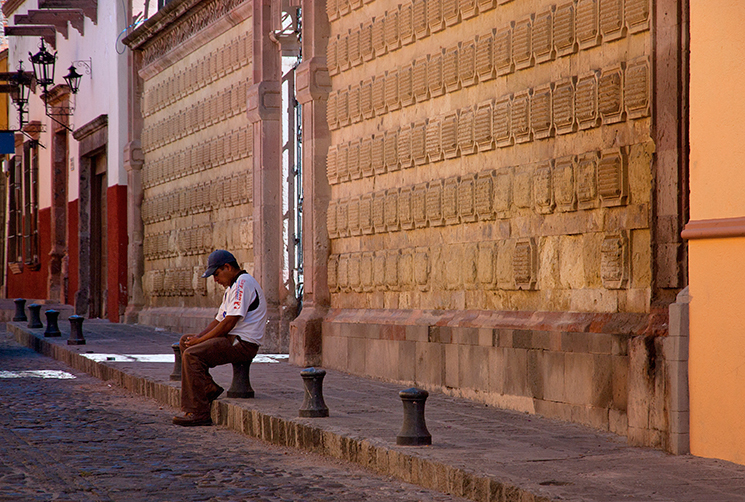 At 4am during the Festival of San Miguel de Allende. Residents celebrate their patron saint, the arch angel Michael with a procession of giant paper mache puppets and sparkling of symbolic stars and exploding rockets. 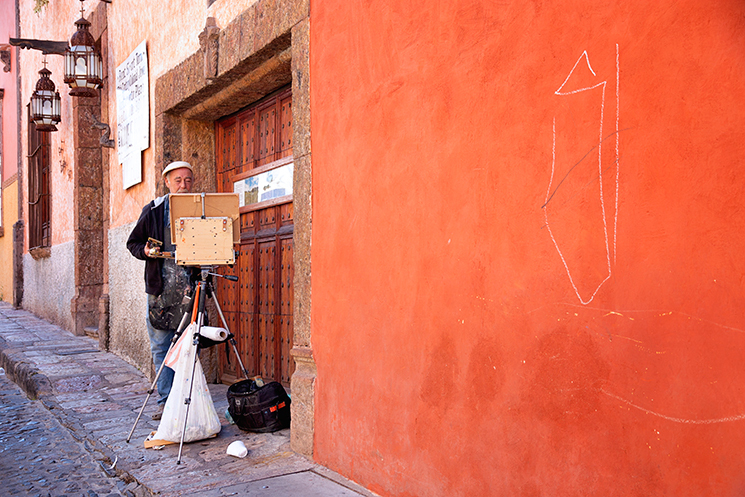 San Miguel de Allende is a special place. 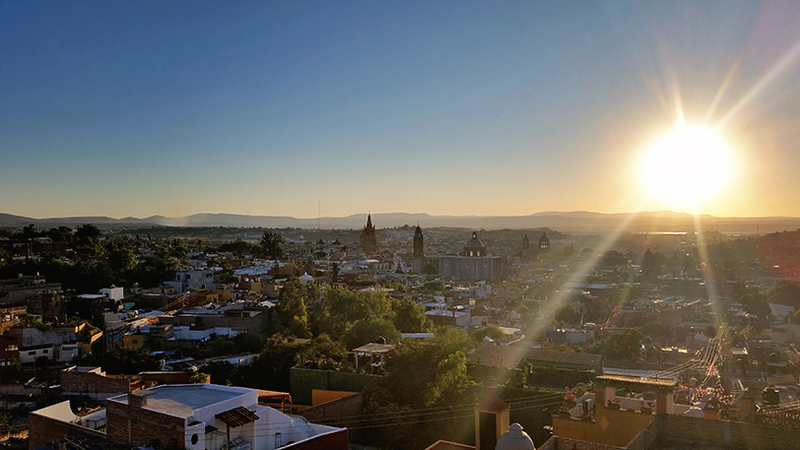 In fact Conde Nast Traveler named it one of their Top 5 Cities in the World in their 2014 Reader’s Choice Awards! 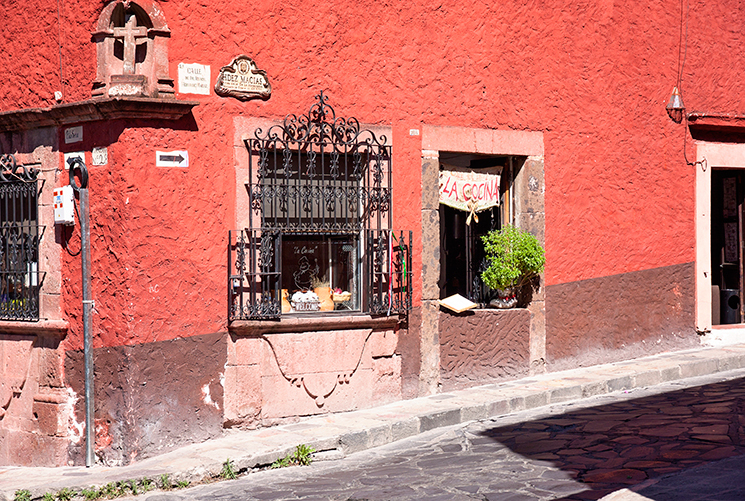 It is full of adorable cobblestone streets and ornately decorated and brightly colored buildings. 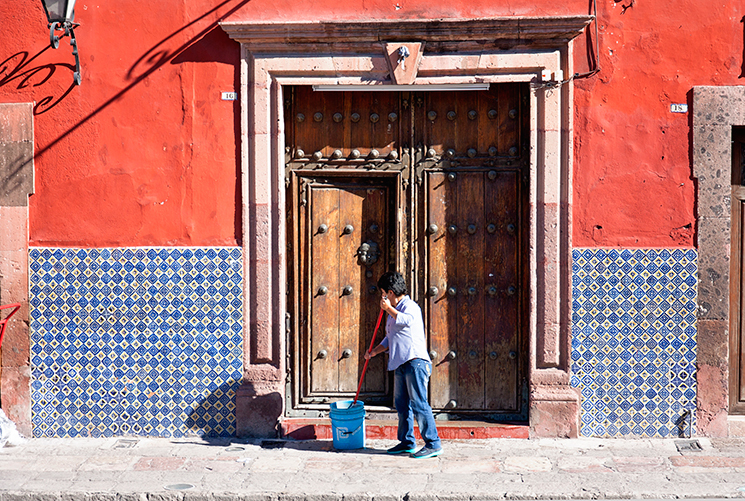 The charm of the city leaves San Miguel de Allende somewhat of a melting pot where you’ll see just as many American expats as you will Mexicans. 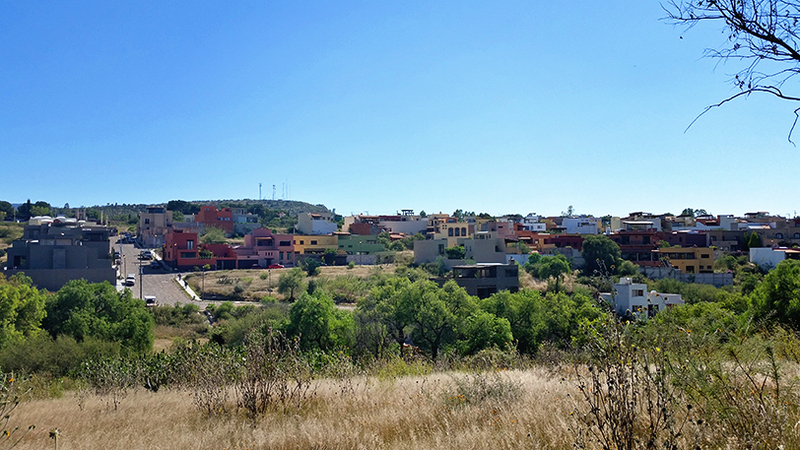 This mix creates an interesting dynamic, and a much more Americanized Mexican city. 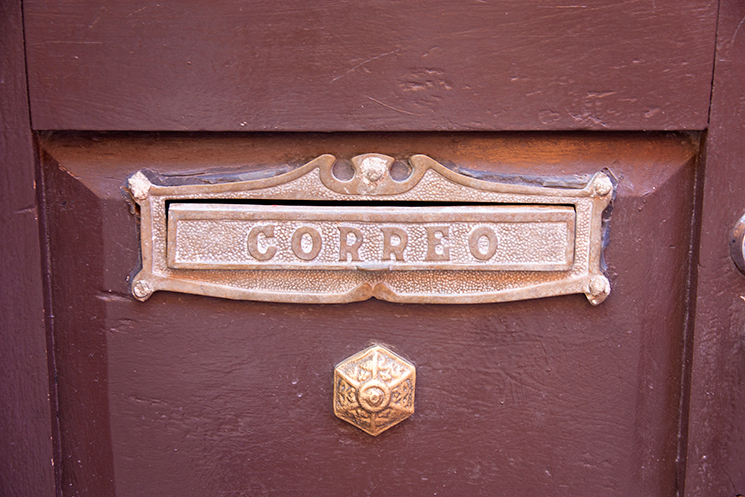 While having a basic understanding of a few Spanish phrases would be helpful, enough people speak English to get by. I think a few of the shop owners felt bad for my terrible Spanglish and would only talk to me in English. An “A” for effort, right? 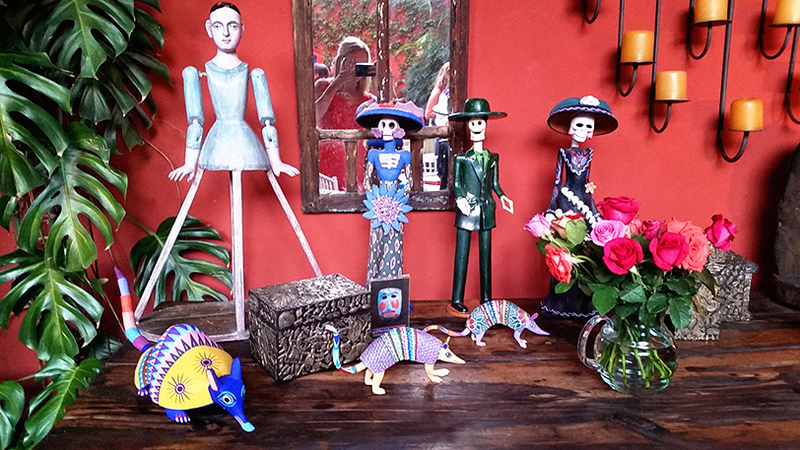 These Día de Muertos (Festival of the Dead) figurines are seen all over San Miguel de Allende. With only a few free hours before I had to attend to official bridesmaid duty I had to be strategic in my agenda. Armed with only my camera and some rusty Spanish I set out to see what I could find. Just winding my way through the streets was amazing. I had jotted down a few shops that I wanted to stop in for souvenirs of the scarf variety, but found my self discovering amazing shops that weren’t on my list. 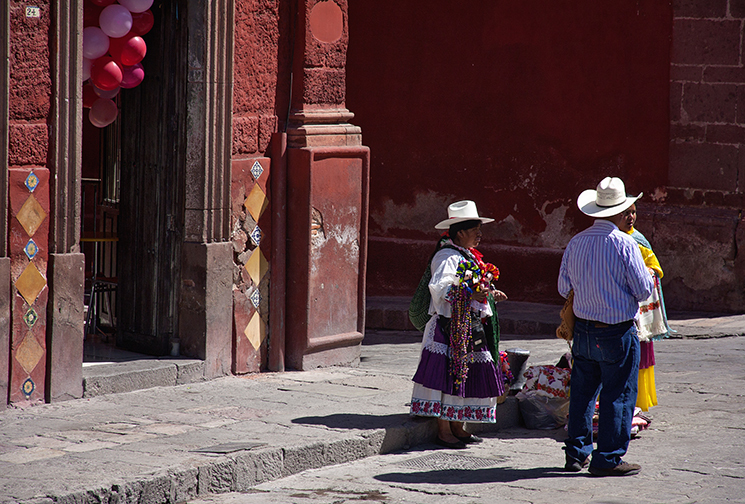 I fell in love with the rich colors of all the fabrics and the Day of the Dead figurines found in every tourist shop. If only I didn’t have to fit all my finds into a carry-on suitcase! The shopping in this town is spot on. You’ll find clothing, furniture, home goods, shoes, knick-knacks, and so. much. food. Seriously, the food of this city is incredible. Maybe some of the most delicious food I have ever eaten! 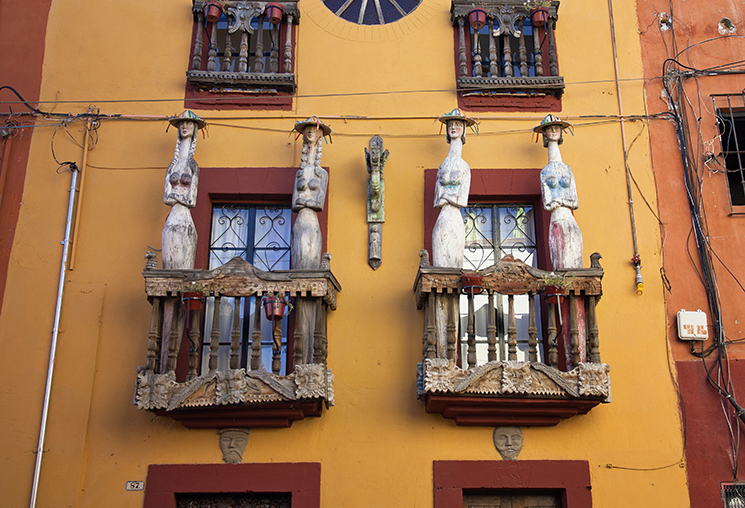 La Parroquia de San Miguel, one of the city’s main attractions. Jason and I at the cocktail reception held at Instituto Allende, another major attraction. 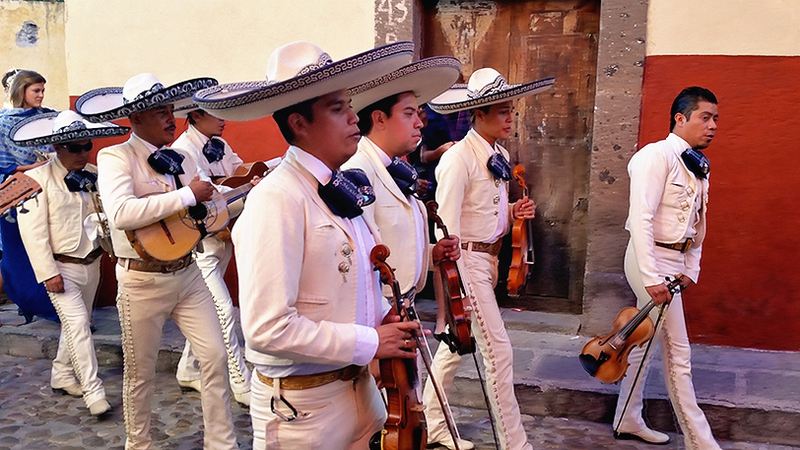 What is a wedding parade without a Mariachi band? If the city wasn’t amazing enough, my friend had to have one of the most magical fairy-tale weddings imaginable! The ceremony was held in the courtyard of the Instituto Allende, which is one part visual arts college, one part events venue and one part freaking gorgeous. The wedding was what wedding Pinterest boards are made of. Seriously. It was authentic Mexican fiesta meets intimate rustic backyard night with friends. I don’t know how they did it, but it was everything they dreamed of! After the ceremony the whole wedding headed out to the streets for a traditional Mexican wedding parade complete with a tequila toting donkey and 10-foot mojigangas. The entire town cheers as you walk by, wishing the couple a lifetime of happiness together. After the parade, we headed to the cocktail hour with maybe some of the best mojitos I have ever had. If all of that wasn’t dreamy enough, we headed to the backyard garden area for dinner, dancing and one of the most amazing views of the city imaginable. The entire thing was heavenly. My only regret is that I had such little time in this magnificent city. I could have spent so much more time exploring every nook and cranny this city had to offer! 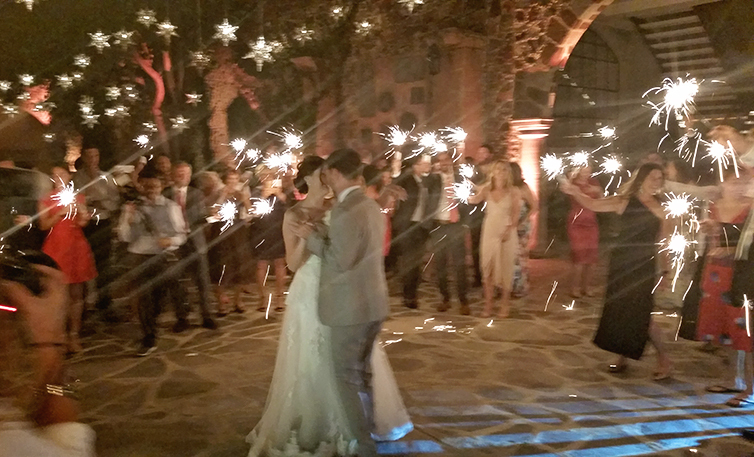 First dance lit by sparklers. 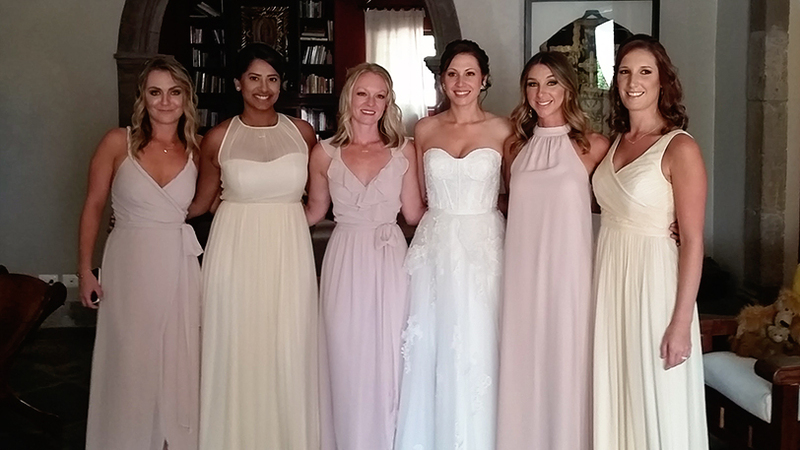 The bridesmaids with the beautiful bride. Next articleSo You Bought A Sailrite, Now What?